These days, store owners are constantly looking for ways to make their customers happy and increase their site’s revenue at the same time, but it’s not always easy to know where to start and best practices change as quickly as the technology does. The difference between a completed order and an abandoned cart can be a matter of milliseconds. Our experiences in the Mobile Optimization Initiative have shown us that removing barriers to mobile shopping, especially at checkout, are critical to conversion. The experiments show that PayPal Express Checkout and PayPal Credit really do make a difference. PayPal Express Checkout + Credit is a feature included in the native PayPal Express Checkout module included in your Magento installation. With PayPal Credit, merchants still get paid upfront just like a traditional PayPal purchase, meaning there is no additional financial risk associated with offering credit. It also offers interest-free financing on orders over $99, combined with the ease and speed of checking out with PayPal. 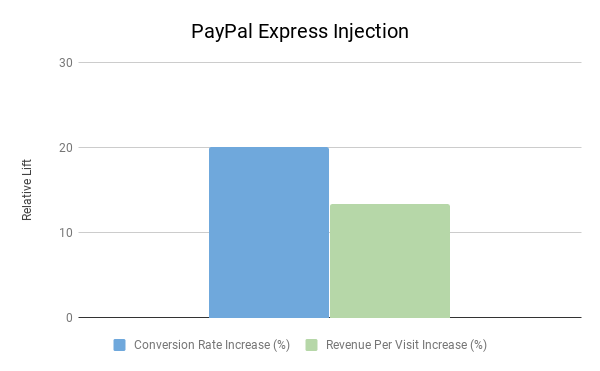 The data from the Mobile Optimization Initiative test shows a study-wide average of an 8.72% increase in RPV for sites that injected PayPal into their shopping cart. Our clients that participated in the study actually saw even better stats with an average conversion rate increase of 20% and a revenue per visit increase of over 13%. 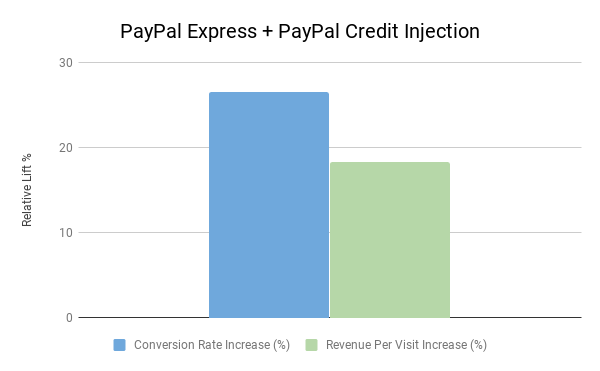 I always knew adding PayPal to a site was a no-brainer to a site’s increase in revenue and conversion rate, but I must say I was rather shocked by these results! We also tested adding the PayPal Credit option to the PayPal Express Checkout payment method. We saw even better numbers for this test. Our clients saw an average conversion rate increase of 26.5% and revenue per visit increase of 18.25%! From our findings, if you are going to turn on PayPal Express Checkout, you need to also turn on PayPal Credit. Ross Richard is the Director of the R&D department at IWD Agency. He manages IWD’s entire product line of Magento extensions. IWD is an eCommerce agency located in Baton Rouge, Louisiana. Specializing in Magento development, their expert team of eCommerce specialists provide quality eCommerce, B2B, and marketing solutions for brands looking to expand their online presence.